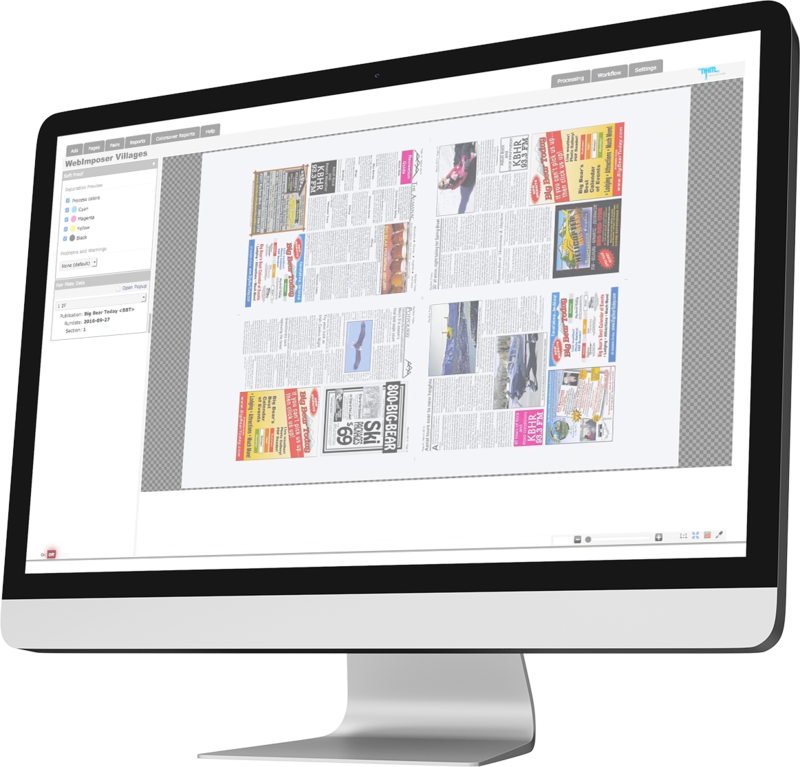 Powerful, unified workflow designed to meet the production needs of newspapers and web printers. 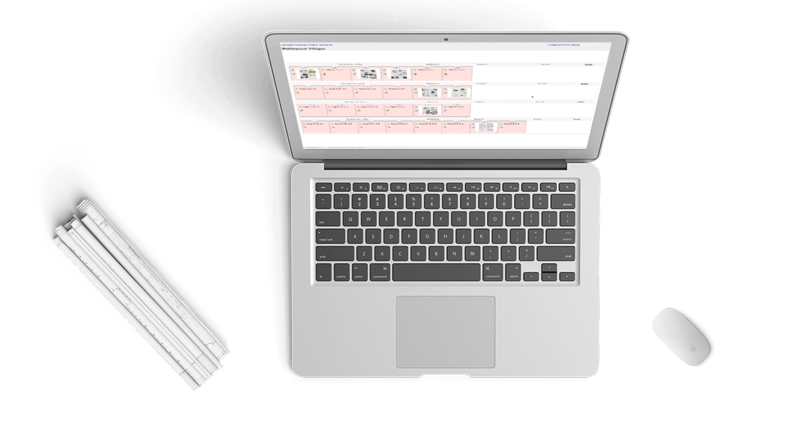 Affordable and expandable, WebImposer has versions and features for small weeklies, as well as enterprise implementations powerful enough to consolidate production for the nations largest newspaper group. 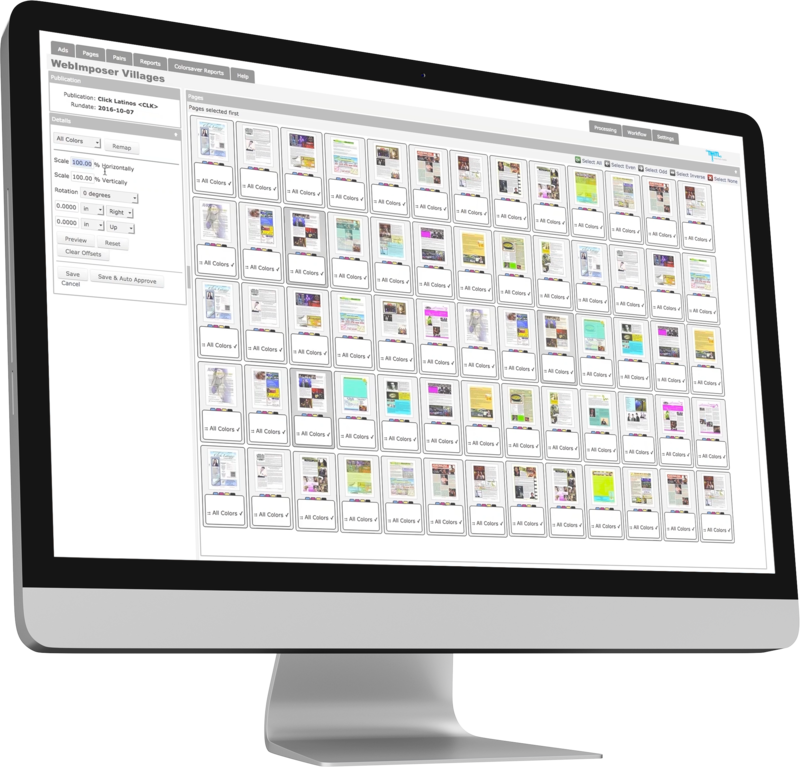 WebImposer is an intelligent prepress and production management and automation system built around a powerful PDF processing engine. Here is a system that covers the gamut from file aquisition, to file delivery and output control - and everything in-between. Dynamic content generation and placement: text, barcodes, marks, shapes, etc. We understand that tight deadlines require a smooth, functional and easy to use workflow, focused on efficiency, and we created WebImposer for just that environment. We also know that fast isn’t good if it's wrong. So, WebImposer locates and corrects file problems before they become your problems. To learn more about what types of issues that WebImposer will help you avoid, check out the features link, below - or contact us to discuss your production requirements.